One thing that sets Black Mountain apart from other small towns in western North Carolina is the depth of fantastic local restaurants. Of course, there’s farm-to-table, but also gastropubs, pizza joints, casual fine dining, several restaurants with international menus, and more. With so many choices, a great way for foodies to expand their horizons is through a guided tour by Creative Mountain Food Tours. Creative Mountain Food Tours combines all the things we love about Black Mountain — a walk through the charming small town streets, a chat with local chefs and business owners who are genuinely good people, and a taste of all that wonderful cuisine that makes Black Mountain a real gem in the mountains. 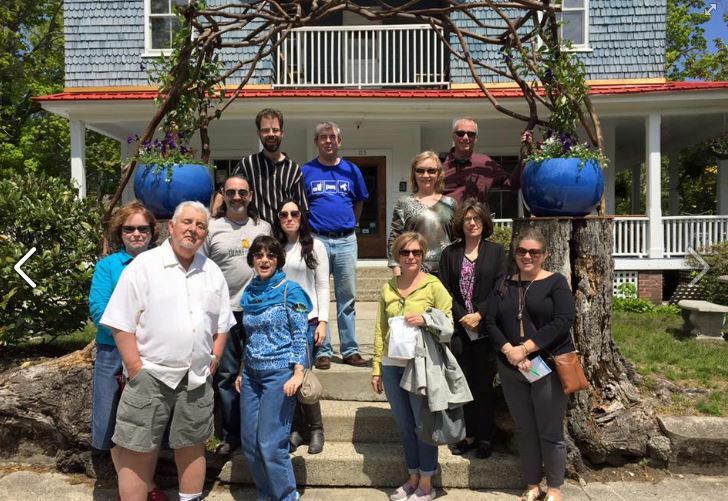 Creative Mountain Food Tours is highly recommended by many happy foodies, including several of our guests! The tours are led by knowledgeable and charismatic guides, you get to sample small plates from a variety of places and talk to the restaurant owners and chefs, and you get your pick of tour based on what you want to experience. What’s not to love? Currently, in 2016, three tours are offered (four if you count the option of booking a private tour): The Ultimate Foodie Tour, the Pub & Grub Crawl and the Dessert Tour. Foodie Travelers: Be sure to check the Tour Overview on Creative Mountain Food Tours’ website for details and consider booking a tour: http://creativemountainfoodtours.com/our-tours/tour-overview/. This entry was posted in Black Mountain Festivals and Events, Local Food and Drink and tagged Black Mountain, food and drink, Spring, Summer by Inn on Mill Creek. Bookmark the permalink.